Over this past Memorial Day weekend, Gregg Drilling teamed up with Glass Slipper Dream Parties for the 61st Annual Vacaville Fiesta Days parade. Owner and lead princess Kristen Cramer (wife of Gregg’s sonic drilling specialist Mike Cramer) captained the effort. 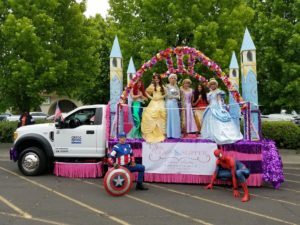 As you can see from the photo, Gregg’s truck proudly escorted the princesses and castle through the parade route. 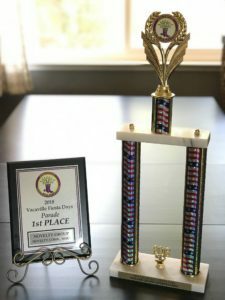 Of the 119 floats participating in the parade, the Gregg and Glass Slipper team managed to win the top parade grand sweepstakes prize as well as top prize for the Novelty Division. Good things happen when you mix drillers, super heroes and princesses!